Neutron stars contain 1.4-2.2 solar masses of material within a radius of just 10-12 km. Without neutron degeneracy pressure, neutron stars would collapse to become a black hole. 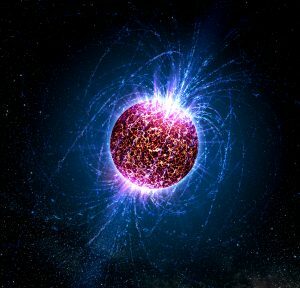 The nature of matter within neutron stars, especially within the cores, is unlike matter anywhere else in the universe. It is possible that the density in the core is so high that quarks are no longer confined. The most extreme laboratory experiments possible on Earth cannot replicate these conditions; it is only through astrophysical observations that we can deduce this unique state of matter. We are attempting to accurately constrain the radius of neutron stars using independent observational tests, as a step toward understanding the equation of state of ultra-dense matter.